Pollinating insects are endangered globally, with a particularly steep decline over the last 40 years. An extensive 3-year study from Lund University in Sweden has found that organic farming methods can contribute to halting the pollinator decline. This beneficial effect is due to both the absence of insecticides and a higher provision of flower resources. Organic farming is known to promote pollinator diversity in crop fields. 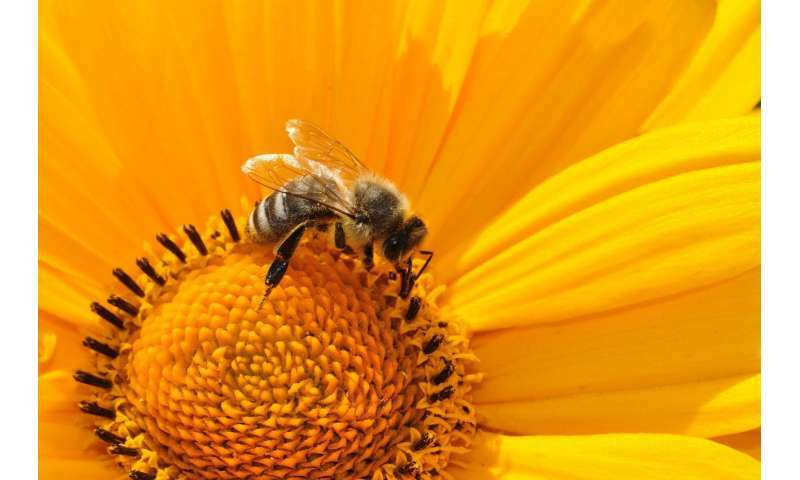 However, it has also been suggested that organic fields might simply attract pollinators from other habitats in the landscape, and therefore not sustain their populations in the long run. The 3-year field experiment, conducted by researchers from the Centre for Environmental and Climate Research at Lund University, found that the number of bumblebee species in organic farms was higher and more stable over time and space than in conventional farms. "This is the first large-scale study over the course of several years to show that organic farming has a consistent, stabilizing effect on pollinator diversity," says Romain Carrié, a postdoctoral researcher at CEC. Romain and his colleagues sampled bumblebees, butterflies and flowering plants throughout the growing season in 10 organic and 9 conventional farms in Scania, Sweden. Their study showed that, depending on the type of crop, the stabilizing effect was either due to a more stable provision of flowers or the absence of pesticides. "An interesting result of our study is the fact that stable and abundant flower resources stabilizes pollinator communities, even in conventional farms where insecticides are used," explains Romain Carrié. "This is strongly suggesting that both flower-enhancing management options and a reduced use of insecticides can help reverse pollinator declines," Romain Carrié concludes. Can solar energy save the bees?